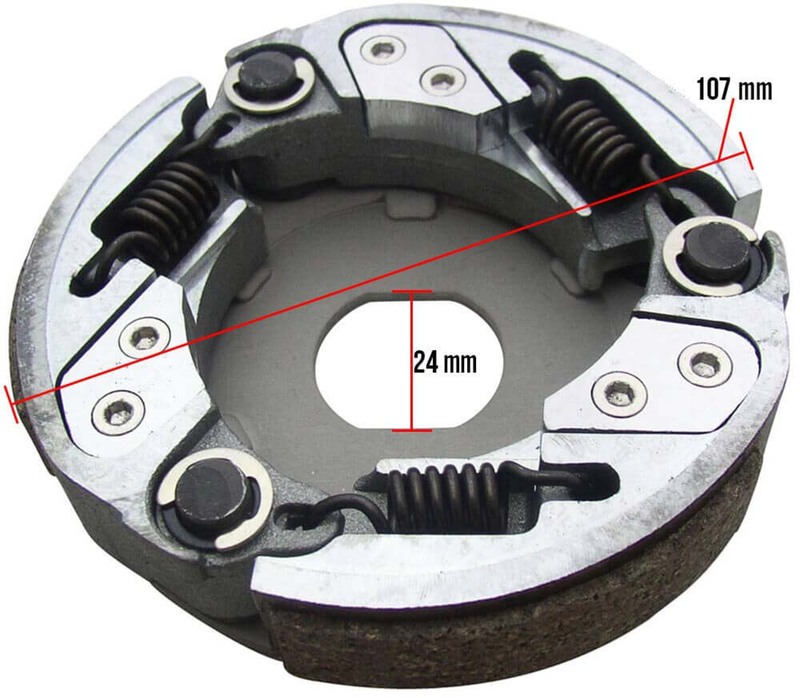 Adjustable clutch from NCY. 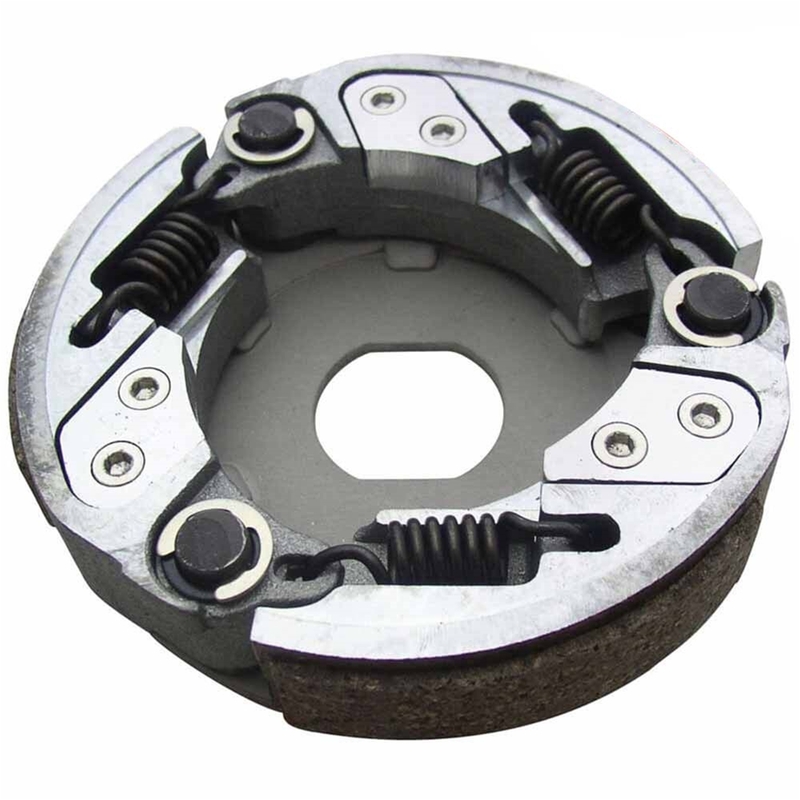 With adjustable pillows and high friction pads, this is a great upgrade for a stock or performance machine. The light weight pillows allow for quicker spool and higher revvs. Or, you can install the weights for a quicker hook up and low end grunt. Fits most Yamaha platform engines from 50-100cc. Minarelli engines used a couple of different sizes of clutch bells throughout the years. Please verify your original size before ordering.